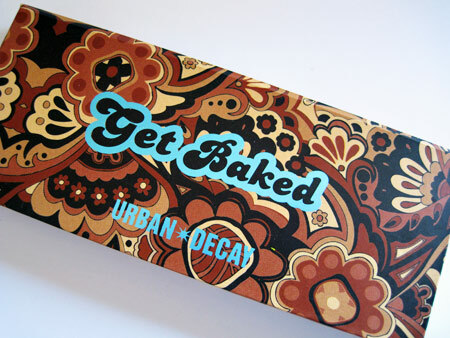 Looking at Urban Decay’s Get Baked palette ($28), I can’t help but think of the summer after I graduated from college. I had moved back home to live with my parents and brother, who at the time played guitar in a heavy metal band. His band mates — who were total stoners — stopped by the house daily. They’d arrive at the door with red, glassy eyes and always, ALWAYS had a case of the munchies. The first thing Mom would always do was offer them something to eat. They’d say “yes,” of course, devouring whatever she put in front of them. Phrases like “Fried Spam is like a symphony in my mouth” would pepper the conversations. 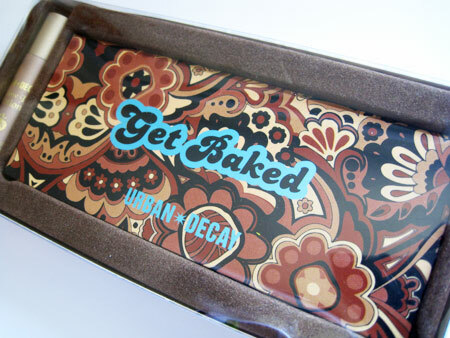 Now, Urban Decay insists that “Get Baked” refers to the new palette’s bronzy summertime shades and not to the form of “herbal refreshment” my brother’s band mates enjoyed. Top (from left to right): 24/7 Glide-On Eye Pencil in Bourbon, Eyeshadow Primer Potion in Sin. 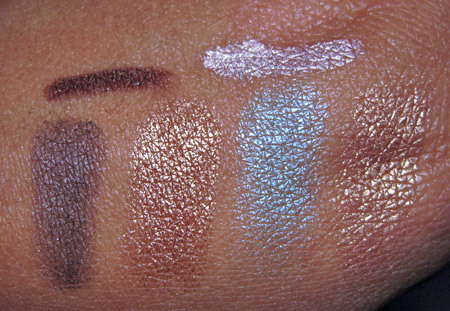 Bottom (from left to right): Eyeshadows in Twice Baked, Half Baked, Flipside and Baked. 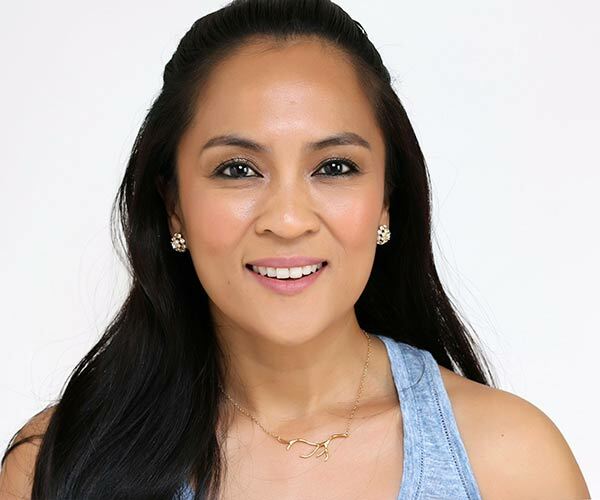 Get Baked comes packed with four eyeshadows (shimmery brown, bronze, teal and gold), a wee bottle of Eyeshadow Primer Potion in Sin (a shimmery champagne) and a travel-sized 24/7 Glide-On Eye Pencil in Bourbon (a shimmery brown). This time of year we see a lot of colors like these, but I like the arrangement of this palette. The colors work well together, and you get everything you need in terms of creating an eye look. I think the colors work well with my skin tone, but I bet they’ll look great on other skin tones, too (especially warmer ones). What do you think? Are you gonna Get Baked? I finally got a haircut yesterday, yea! My last cut was over six months ago, and I was way overdue for a trim. I went with Vanessa Hudgens-esque sideswept bangs. I’ll post a picture soon. I am so greedy. I want every single Urban Decay item. Seriously. I have UDPP in the regular formula, but I also want Sin. LOL… Can a girl just PLEASE have a mythical bank account with infinite money for this kind of stuff? 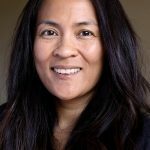 Speaking of infinite money… I just saw this and thought you might be interested (or any of the girls that read this). 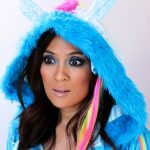 NYX is having a super blowout for their 10th anniversary. If you’re unfamiliar with NYX cosmetics, practically all of their products are under $10 dollars. I’ve heard great things from them but have never had the chance to try it. Thanks for sharing that info! I’ve tried a few Nyx eyeshadows in the past. I like their bold and shimmery colors, but I wish they were a bit more finely milled. For the price, though, they are pretty good. How’s your day going? Got plans for tonight? Yay for your new haircut!! Can’t wait to see a picture! 🙂 Are you enjoying the usual post-salon-blow-out glow?!!! Lol, I lurrrve that hair commercial feeling– too bad it doesn’t last beyond the first shampoo! So I guess since its Friday, you better take your new haircut for a night on the town with your man.. enjoy! How’s your Friday going so far? 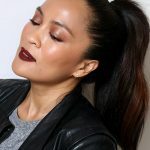 I know, every time I see something new from UD I’m just like “maybe I can just splurge on this… or this.” And my latest is the Get Baked pallette, which I saw a few days ago. 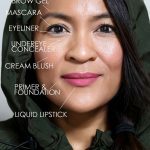 I love their primer potion just because I have the most ridiculously oily lids EVER! My day is super dreary and rainy (I failed to mention this a few days ago) but I do have plans. I’m going out tonight and gettin’ all purdied up. Lurveeee Friday nights. I know a lot of women are devoted to the original primer potion. 🙂 You gotta get the Sin one! It’s so pretty even just by itself. Boo to the rain. It’s overcast here, too. Where did spring go? Anyway, yay for Friday nights! What are you going to do? I think El Hub and I will be going on a dinner date. I’m craving sushi. I’m lovin’ the look of this palette! 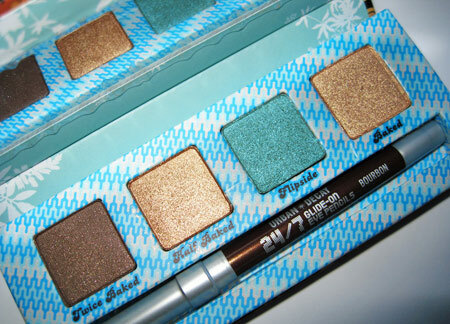 So shimmery… I’m a big UD fan–they have great colors. Can’t wait to see a pic of your haircut Karen! I need a haircut so bad, but I lack the time and motivation. I am pretty new to the UD line but I really like it so far. 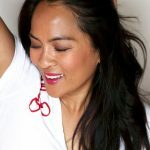 What are your fave products? I hear ya. The only reason why I ended up going was because I had to force myself to go to the salon, LOL! Plus, my hair was really starting to take a life of it’s own… Honestly, I feel like she cut off five pounds. it old you urban decay is super addictive! but then again you know i am a major fan of their stuff – i will have to pass on this palette cause i already have most of the colors but i love the packaging! I love all the shades in this palette. I wish they included the Baked eye pencil. I picked that up a few weeks ago during the Sephora sale and it’s fab. Do you use any of their lip stuff? I’m also getting addicted to their lip liners. Girl, I cannot tell you how often I crave sushi. I can eat it and five minutes later still want it. Maybe we’ll do that as well. I would try to do more today but it just seems like the rain will kill any outdoor activities. It’s like 72 degrees but humid as sheeeii! Gotta hate the midwest. I’m definitely thinking about getting UDPP in Sin. It’s just so pretty. I’ve never been to the midwest, but I’ve heard that the humidity can be killer! It’s pretty humid in Hawaii but there’s usually a breeze which keeps it comfortable. But yeah… if given the chance I’d opt for dry heat over humidity, for sure. Your evening sounds like it’s going to be fun! I’ve seen hookah lounges in SF but have never really been to one. They look exotic. Are they common out where you live? I’ve never had fresh-fresh sushi. I know, such blasphemy, right? When I travelled to Chicago last year, I never got the chance to try out fresh seafood. I DO miss fresh crab and shrimp. UGH SO GOOD. Yeah, the midwest isn’t friendly to hair. Any hair, seriously. One of these days you’ll have to make it to SF so you can get some uber fresh fish. You’ll never be able to go back to sketchy sushi afterwards. Bah, it’s barely 10:30 a.m. here and my stomach is already grumbling like CRAZY. Is your fam from the midwest, or are you out there for school? I’ve never been out past Montana… pretty much grew up here on the west coast. I was just at Sephora on Wednesday and they didn’t have this, I really want it! I got some other goodies though. 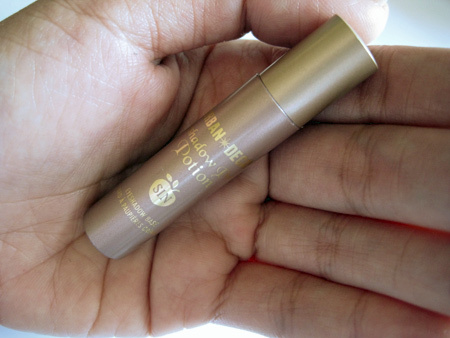 I got Urban Decay’s eye creme in Weeds and Mushroom. Too Faced lock down shadow in I’m Guilty and their blush in Papa Don’t Peach. Yay! THEN the next day (see what happens when I have classes in downtown SF near Nordies!) I went to MAC and got Steal My Heart and Magnetique glasses, a Blushcreme in Ladyblush and Knight Divine, Greensmoke & Swimming eye shadows. Eeek don’t tell the hubbie 🙂 But aren’t you proud of me for breaking out of my blush rut haha! And yes, I am so glad that you decided to try some new colors. I soooo won’t tell the hubby. 😉 I carry a big purse with me when I hit the counters so I can sneak all the makeup back into the house, HA! Otherwise, I’ll get another “Do you really need another pink lipgloss” lecture. Okay… so I definitely just hopped into that NYX sale. Bought 11 items, originally totalling 50 something dollars. After the discount AND shipping together — $33. BARGAIN SHOPPPPERRRRR, holla! I agree — Vanessa’s makeup always looks banging. I love it when she wears smokey eyes! Lol, the phrases stoners come up with are hilarious. UD has some kick@$$ eye products. I love that their shadows are packed with pigment and blend easily. What more can a girl ask for? I’m quickly becoming a HUGE fan. Which UD eye products are your faves? I actually would love to make it out to Cali sometime for a short vacay. I love to travel, even if I’m broke. My fam isn’t from around here. My mom (as are the rest of my crazy fam) is Puerto Rican. Born, raised, ya know. Latino style lol! I was raised in NYC though. When I was about 15, we moved to NWA and I’ve been stuck here ever since. I would love to move back to a bigger city but I don’t think a city like NYC is for me anymore. Maybe if I lived just outside of a big city like an hour or two away from Chicago or Miami or Houston. I love me some warm weather — it’s in my blood! I wish it were more tropical here. I love to travel, too. If I won the lottery I’d want to see every corner of the world! Moving from NYC to the mid-west must’ve been a big change. Did it take a long time to adjust? As much as I love a big city I’m with you — I dunno if I could handle something super urban like NYC, either. The outer parts of SF (which are more like busy suburbs) is probably all I could handle right now. How was your evening? Did the opening go well? yay bangs! looking forward to seeing the pic. I do love this palette-but, again, too similar to stuff I have. I have either half baked or baked already (I think it’s half baked-this was my first UD shadow along with X). still love em. Cant wait to see your hair cut ! I’ve been meaning to get my hair done for a long time now…my last trim was…well you dont wanna know. Lets just say, it was eons ago. Both palettes are fab, no doubt. Have you used all the shades in the EL one? A really pretty palette! I might even consider getting it, except that I already got Flipside last year… it was way too pretty to pass up! I’d love to see the look you create with the set, though! I’m overdue for a cut too! I’m booked for next Wednesday! Can’t wait to see your new ‘do! 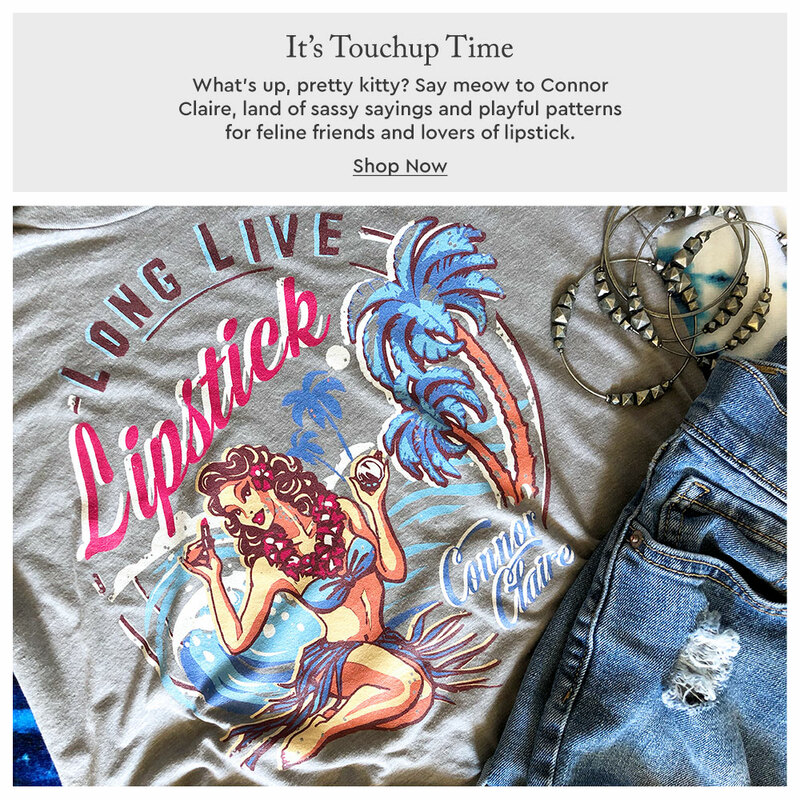 I can so see you rocking flip side… do you ever wear it with thick black, cat eyeliner? For some reason I can just see that one you. I’m smitten with this palette. I do have to admit that besides the gorgeous colors, a big part of the attraction is the fierce cover and the cheeky statement. The 70s is my all-time favorite fashion decade. And I won’t lie, I’m a fan of the green. The folks at UB can deny it all they want but how can they convince anyone that they aren’t referring to “herbal refreshment” when they have names for colors such as Maui Wowie, Blaze, Blunt, Roach, Green Goddess, Mary Jane, and Purple Haze? And I’m not even counting the colors in the palette such as baked, half-baked, and twice-baked. Ha ha. I can’t wait to see your new hair cut! What made you decide to take the plunge? I have been wanting this palette for the past week and it’s so weird that you posted about it today! It’s torturing me! Karen you should post pics of yourself wearing it. I have fair skin though so I’m afraid of the colors washing me out. But it’s SO gorgeous and the packaging is killer. Seriously, I will buy anything if the packaging drags me in. Sigh! Are these shadows glittery or just shimmery? I love UD shimmery shadows, but for every day wear, the glitter ones kind of drive me nuts. 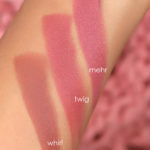 You know… I don’t have any gold shadows yet, and Twice Baked looks like a gorgeous taupe. I may just cave on this by summer’s end. I finally went out and bought Urban Decay’s got baked. Do you have any suggestions on how I should use the shadows appropriately? 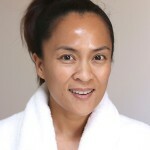 .-= Makeupmorsels’s last blog post… DHC Eyelash Tonicâ€¦Does it do anything? =-. I’m sorry I missed this….